Treat your sweetheart to something spicy this year! 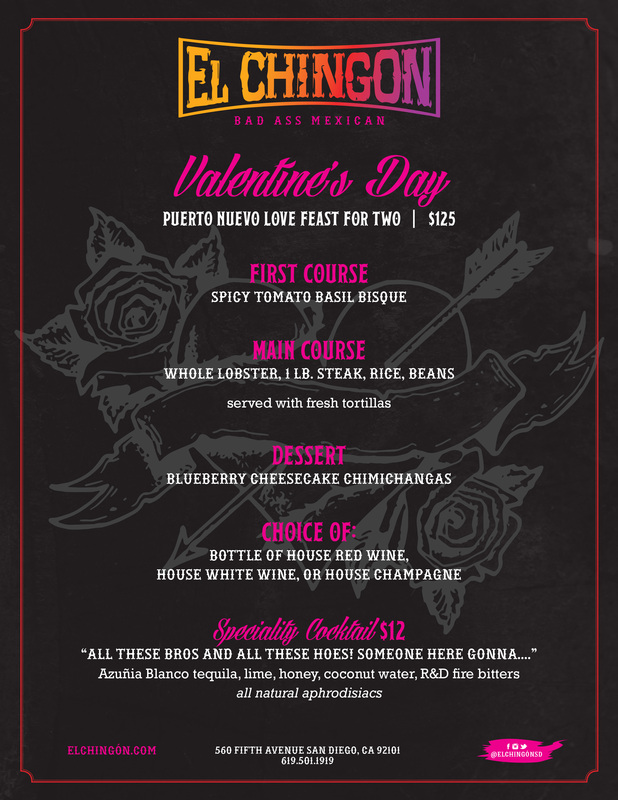 Valentine’s Day is coming, and El Chingon is excited to celebrate our first year open during this awesome holiday! We may be riding the #SingleAndReadyToMingle train, but we get it if you have a honey that you want to treat to an amazing night out on the town! Be sure not to lag on making dinner reservations for you and your S/O! Check out our prix fixe “Puerto Nuevo Love Feast” dinner menu – this is ONLY available on Valentine’s Day, so book your reservations today!